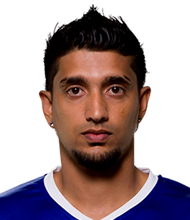 Dane Pereira, Mumbai FC medio is banned from playing professional football until further notice as he failed the dope test during the course of Hero I-League 2014-15. Pereira has tested positive in a dope test conducted by National Anti Doping Agency (NADA). In Hero ISL last year, Dane turned out for Chennaiyin FC. He has been one of the mainstays of Mumbai FC since 2007. This in not the first incident that a played from Mumbai FC has tested positive. In 2011, Nishant Mehra tested positive for tetrahydrocannabinol, an in-competition prohibited substance in the World Anti-Doping Agency (Wada) list.